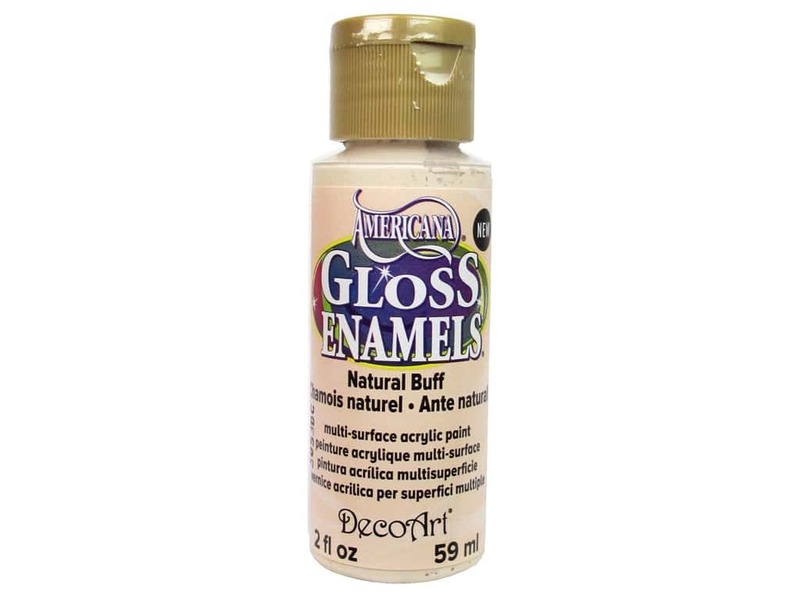 Description: DecoArt Americana Gloss Enamel Paint is a multi-surface paint that adheres to glass, wood, papier mache, plaster, resin, ceramics, and more. Decorate ordinary glass items, flea market finds and more for your home. Painted glassware may be baked for a dishwasher-safe finish. Opaque. 2 oz. #311 Natural Buff.